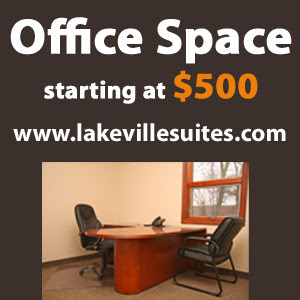 Lakeville Executive Suites: What is an Executive Suite? Executive Suites or Office Business Centers (OBCs) are shared office spaces. These office space set-ups are designed for small businesses that on average have less than 10 employees. Executive Suites allow companies with limited office space needs to rent only the space they need instead of renting a traditional office space with offices and administrative areas that will be unused or underutilized. Office business centers provide companies with the amenities, infrastructure and a professional image typical of larger companies. By providing this value, OBCs allow small businesses to operate their business without worry about acquiring, managing or maintaining these amenities. Currently there are over 4,000 OBCs in North America. This industry generates over three billion dollars in revenue per year. Most business centers have a professional reception area, a full-time receptionist, and use of conference and break rooms. Offices have a state of the art digital telephone systems, dedicated fax lines, and T1 or higher high-speed internet access. Office business centers not only make amenities and technology available to small businesses, but they make them available at a price that is far less than you would experience in setting up a conventional office. There are many benefits in taking space in an executive suite including flexibility, low upfront costs, on-site management and short term leases. Most common agreement terms are between three and twelve months. Everything needed is in place to move in and start working immediately. You choose either a fully furnished or unfurnished office, with essential infrastructure for instant productivity. Lakeville Executive Suites is the premier site for executive offices in the south metro area. For more information on our services, please call us at 952-356-3100.